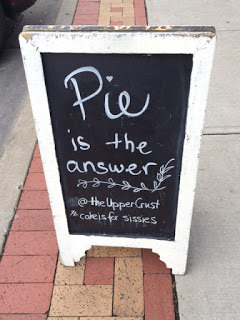 One of the reasons we look forward to visiting Downtown Overland Park is the chance to stop in The Upper Crust. For those of you that have been here, you know why we are excited. This place is a straight up pie shop with no qualms about their specialty. 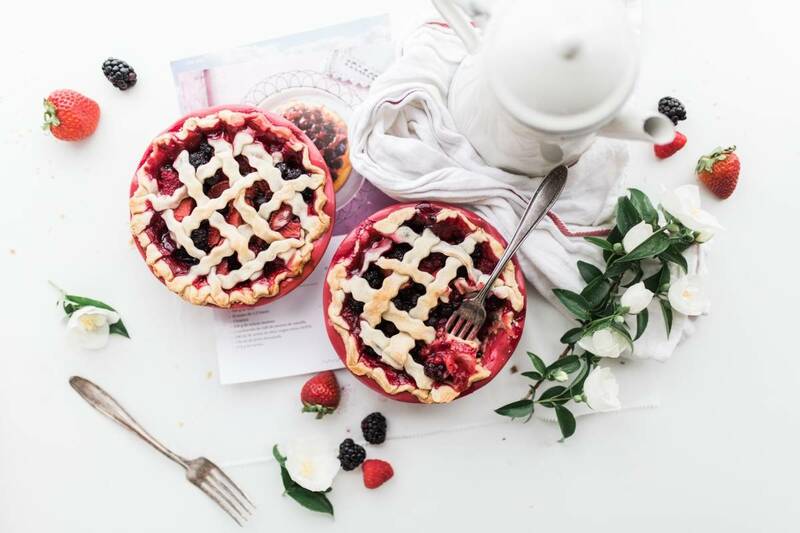 They aren’t trying to serve a hundred different dessert options, and have honed in on the idea of offering the best pies they can make. They do offer a few cookie and bar options, but it is clear upon entering their shop that they focus on their pies. 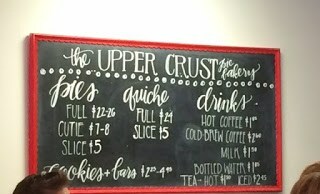 Their price list at The Upper Crust is fairly straightforward, but on the third Friday Local Life events they offer slices at a three for $7.00 special. Lots of people are familiar with this special, so you will want to get your picks in early. They do start running out of some varieties, as the evening wanes. We have learned that you can purchase your selections, and they will hold them for you until later, but be sure to pick them up before they close. The experience at The Upper Crust is electric. As you wait in line you find yourself struggling to decide which flavor to try on this visit. Wait a minute! With so many choices how could you settle on just one flavor? We all know that the best things in life, like pie, come in a variety pack. Order up a few flavors, and then share them. For our choices on this particular visit we picked (from top to bottom) Blackberry, German Chocolate, and Pecan. The fillings were awesome, but the part that separates them from many other pie makers is the crust. So light and crumbly. This place is definitely worth the trip if you are a pie fan, and if you are not they just may make you one. Give The Upper Crust a try on the next third Friday for their three slice offer, but don’t forget to get there early, as they sell out fast. Pie, anyone? WE are so honored! Thank you. You are quite welcome. We love your pies, and cookies, as well. Keep baking!